Design Industries Foundation Fighting AIDS (DIFFA) hosted its annual Dining by Design benefit gala at Pier 94 on March 22nd. The design showcase ran for five days of ticketed and public events and showcased 32 dining spaces created by artists, architects, and fashion, interior, and event designers. Check out the recent feature in the recent issue of Manhattan Fashion & Home Special. 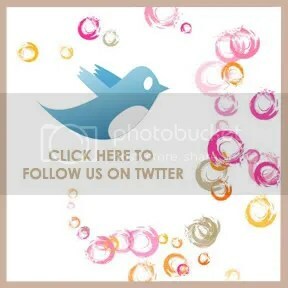 See the spread below. 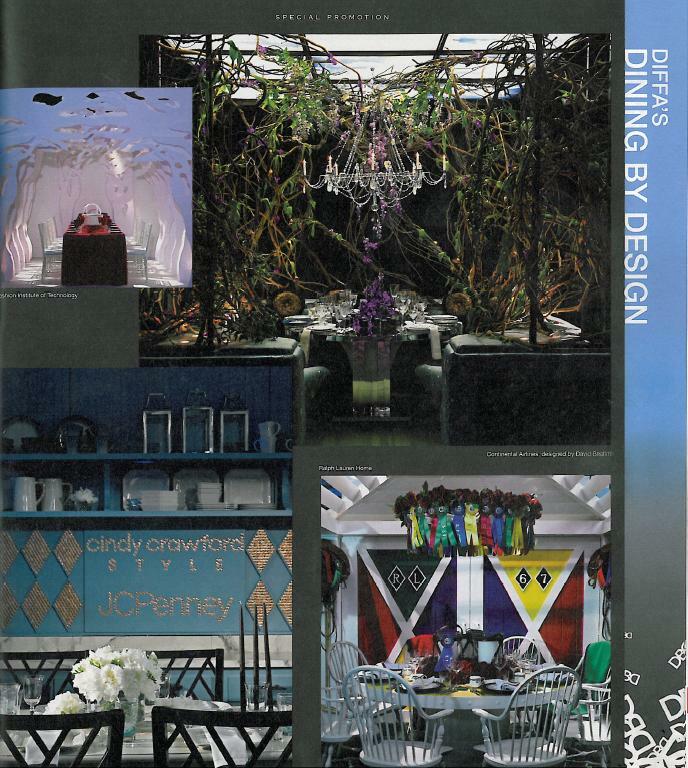 DIFFA’s Dining by Design in BizBash! 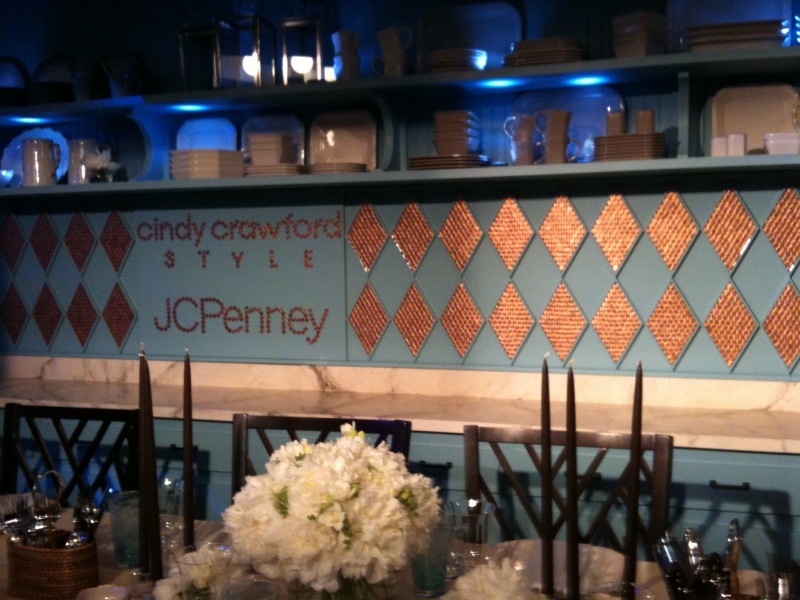 Shiraz Events worked with Sara Costello and Atomic Design to create a comfortable, classic Hamptons dining table for Cindy Crawford Style for JCPenney. What better way to play-on the household name JCPenney, than with actual pennies? The back wall of the ‘dining room’ flaunted the sponsors names in nothing but glimmering pennies! 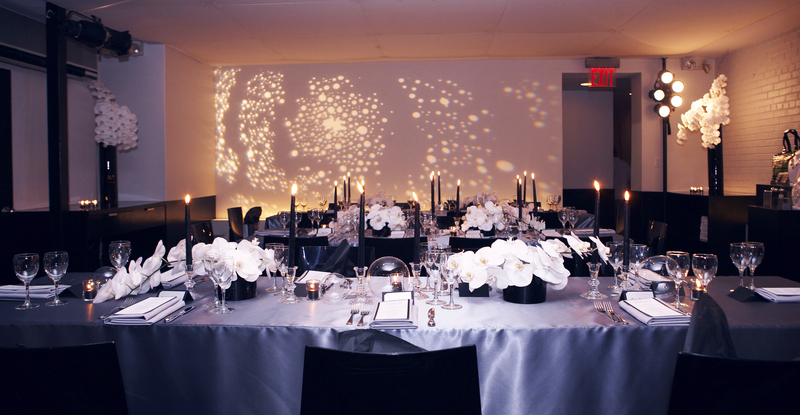 Design Industries Foundation Fighting AIDS (Diffa) hosted its annual Dining by Design gala at Pier 94 in March. 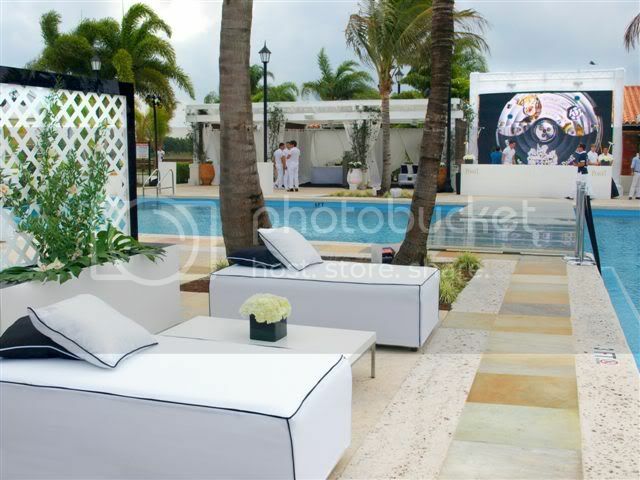 Concurrent with the Architectural Digest Home Design Show, the showcase included five days of ticketed and public events built around 32 dining spaces created by artists, architects and fashion, interior and event designers. This past week was especially hectic, but we always pull through for our clients! 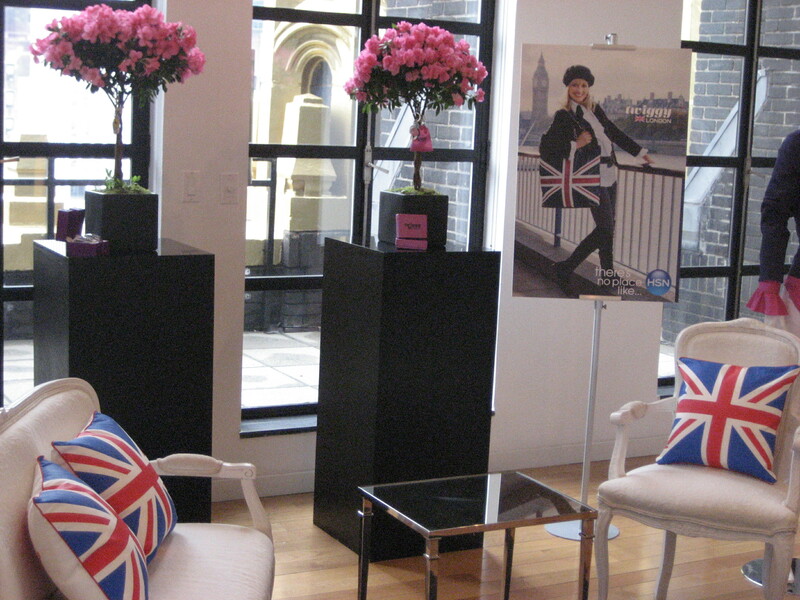 Stay tuned for more pics, but in the meantime check out this quick 123 of the amazing events we’ve worked on this week! 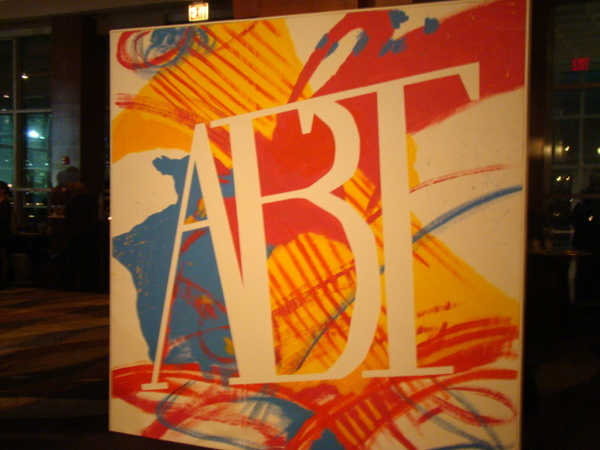 ABT‘s 2010 Spring Culinary Pas de Deux @ Pier Sixty– check out the Live Feed from the event on Twitter! 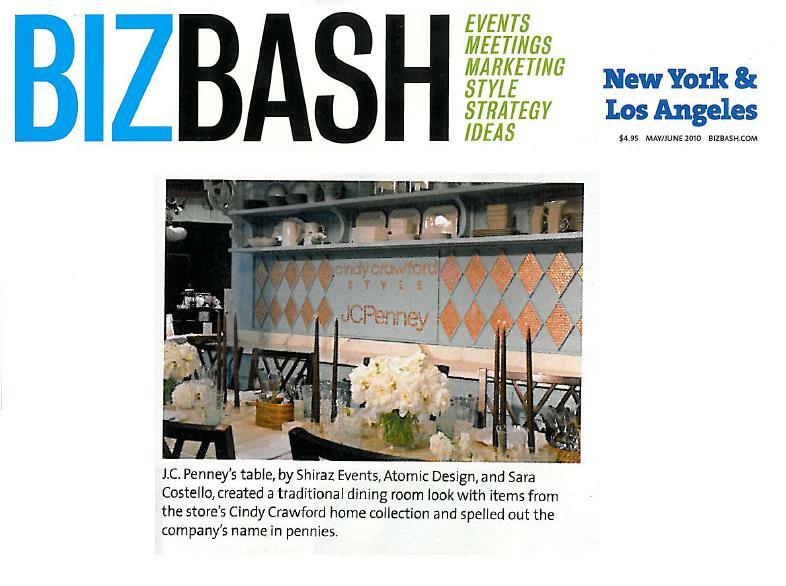 Shiraz Events and Sara Costello designed the Cindy Crawford Style for JCPenney at DIFFA‘s “Dining by Design” event this past weekend @ Pier 94.